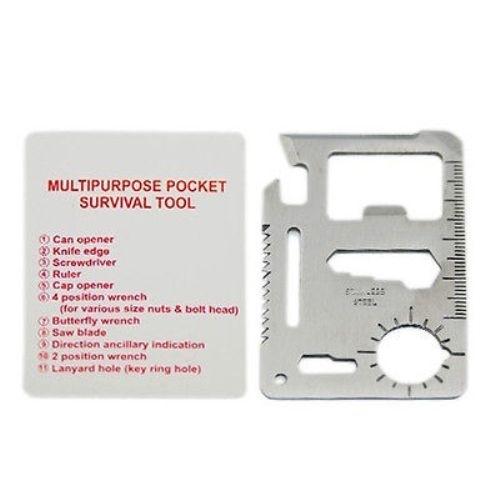 This Survival Tool is small then a credit card, easy to carry ,it's ideal for camping, hiking, backpacking, hunting, trail riding, or just to keep in your car. 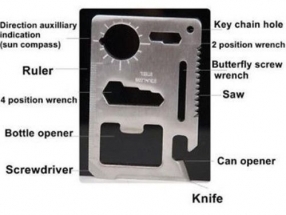 Can opener: the following hook the used together with the mouth is, can be easily open tin cans. 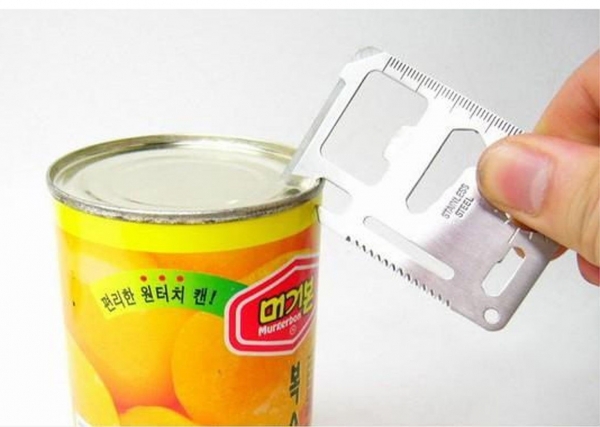 The knife: sharp blade, cutting ropes, wash clean cut fruit more is not a problem. 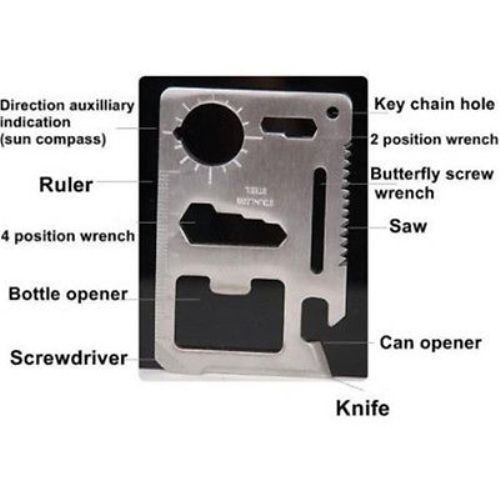 A screwdriver, located in the card of the Angle (this position using the mechanics principle increases the strength and more energy), the science Angle cutting into a word screwdriver, reasonable of commonly used models can screw. Straightedge rule: the metric scale, the minimum scale for mm. 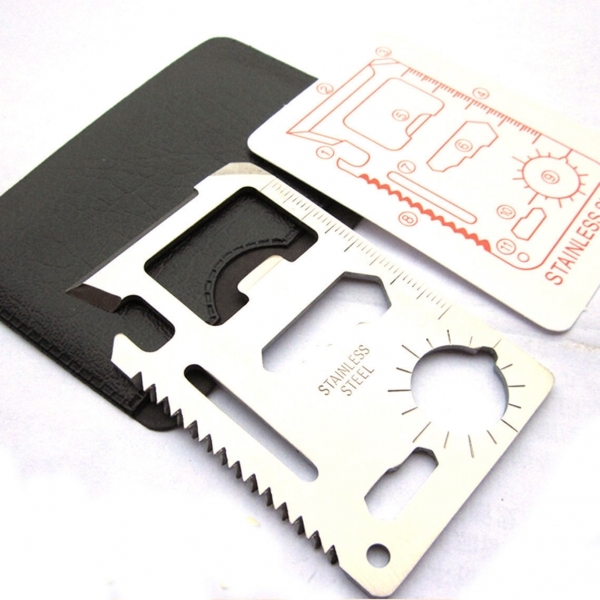 Bottle opener: suitable for beer, beverage and etc and the open bottle cap. Positioning hex wrench: four different types of six arrises wrench, suitable for daily use of the size of the bolts and the nuts. 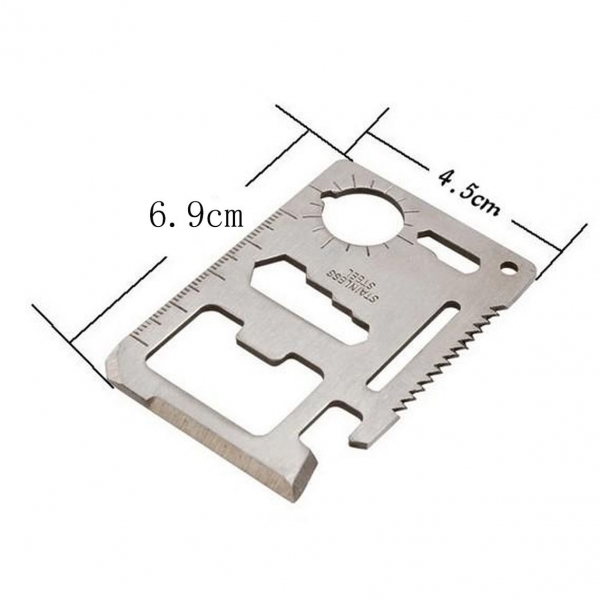 Live wrench: namely long strips hollow out slot, can be twisted any flat model bao hou different take items. Direction instructions: 16 available equal parts of scale accurately determination in different directions. 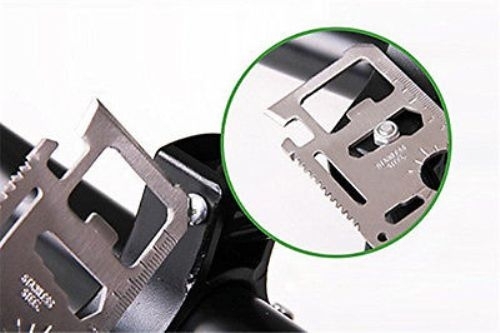 Positioning wrench: two different types of six arrises wrench, more than six model function is small. In addition to the same word a screwdriver a round hole on the diagonal, can hang on to this one.